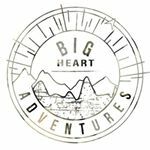 Big Heart Adventure trekkers will raise funds for the Himalayan Development Foundation Australia. Support them now! This journey takes you off the beaten track affording magnificent views of the world's highest mountains while allowing you to authentically connect with Nepal.